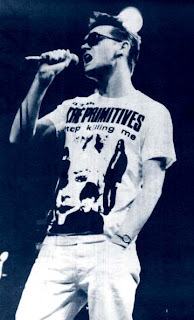 Wednesday 23rd May at The Lomax - it's Psycho Motel time again! 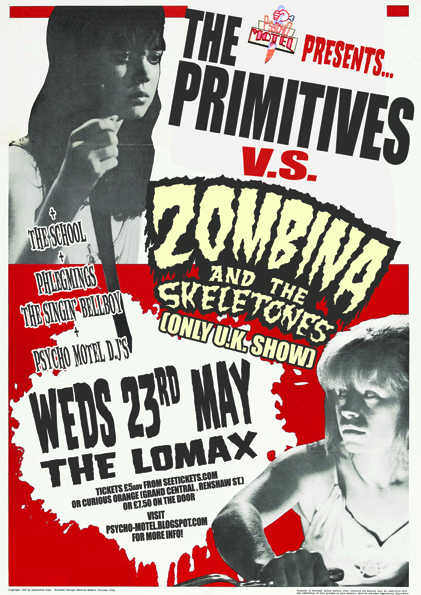 ...and in the red corner, we have Psycho Motel champions - Zombina and the Skeletones, for who this will THE ONLY UK SHOW OF 2012, so if you don't come along, you won't get to see Zombina and the Skeletones again for who knows how long. Is that what you want!? ...on top of all that, we've got The Primitives tour support - The School, Phlegmings the Singin' Bellboy doin' his thing and a bunch of wild DJ sets from GoodGuy Joe and Becky Boneshaker! Get them £5 advance tickets right now from Curious Orange (basement of Grand Central, Renshaw St.) or from seetickets.com or it's £7.50 on the door on the night. Psycho Motel XIV Facebook event page.